Lee, aged 75, had all the trappings of chronic illness: hypertension, diabetes, high cholesterol, heart disease and had a previous stroke. She wore a prominent “DNR” wristband. Staff at her care facility called EMS when she experienced flash pulmonary edema and was struggling to breathe. Lee arrived in the emergency department with a verbal directive that she was not to be intubated or given sedation. She only wished to be “stabilized.” What did this mean? Was she really willing to die or did she want to live? For all intent and purpose, it appeared that the physician had resuscitated Lee against her wishes . . . or did he? The questions that surround ambiguity cannot be taken lightly in the extremes between life and death. Healthcare providers especially need definitive answers if they’re to be held liable for either wrongful death and/or the full resuscitation of a patient. 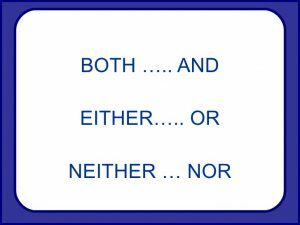 Ambiguity is present with “both-and” thinking that permits patients to have it both ways. Definitive action requires an “either-or” approach that allows patients to have it one way or the other. Most patients prefer to live AND let die, depending upon the circumstances. At what point do patients declare, “Give me quality of life OR give me quality of death? In Lee’s situation, her DNR bracelet was more ambiguous than definitive, requiring the physician read between the lines of what this patient wanted. People enjoy mixing and matching their options, like receiving hospice benefits and pursuing curative treatment. Who finds this confusing other than emergency physicians? Is hospice supposed to be end-of-life care that prolongs the inevitable? Are curative and comfort care both compatible? Many would argue that they can be and should be offered simultaneously. People should have the right to get what they want. This is ethical and respects patient autonomy. Currently, patients can determine their medical prognosis based on hope and scientific evidence? As hope waxes and wanes, a patient’s interest in medical intervention tends to fluctuate and becomes ambiguous. It’s then left to family caregivers to decide what their loved ones want at any given moment. This opens the door the “both-and” considerations being discussed between physicians and family members. When medical decisions are ambiguous, definitive care errs on the side of providing full cardiac resuscitation despite the patient’s futility. If patients want dignity, they need the certainty of being right. Their actions need to be consistent with their words. Self-determination grants patients the right to choose their own care plan, allowing them to live and let die as they see fit. Culturally and personally, we struggle with allowing people to die. Death is often perceived as inherently wrong, bordering on sinful and shameful. No self-respecting person would choose death and it becomes futile to discuss this as a viable option. “Either-or” thinking supports self-determination, but often defaults to coercion. Physicians who are into fearmongering might say, “EITHER do it my way OR you will die. Most patients and family members recoil in submission. Physicians are often considered omnipotent and next to Godlike in their ability to perform miracles and save lives. Only the “devil patient” goes against the physician’s recommendations. Yet, self-determination requires patients to be defiant. Patients need to appreciate the dividing line between hospital-based (inpatient) care and home-based (outpatient) care. When choosing “either-or” your definitive wishes are more easily respected. When you’re open to receiving care in both settings, your wishes appear ambiguous. As in Lee’s life-threatening situation, her DNR had no real credibility because she wasn’t willing to stand her ground and die at home. “Stabilize me” meant call 911 and have me transported to the hospital. Advance care planning leads to a resolution between “both-and” considerations and “either-or” decisions. It’s primarily focussed on making medical decisions. From a spiritual context, advance care planning teeters between accepting and controlling one’s fate. The fate of flash pulmonary edema is death. Yet, Lee did not accept this and was determined to work against both fate and her DNR. Her self-determination sidelined personal dignity. When patients try to determine their own fate, they risk failure and indignation. When they accept life-threatening situations as a matter of fate, they become absolved of all wrongdoing. Family caregivers need to work towards respecting fate as it is to ease the grieving process. Patients can receive “both and” critical care, advance care, palliative care and end-of-life care. Critical and advance care are hospital-based. Palliative and end-of-life care are home-based. Critical and end-of-life care are more certain – standard practice. Advance and palliative care are ambiguous – patient autonomy. 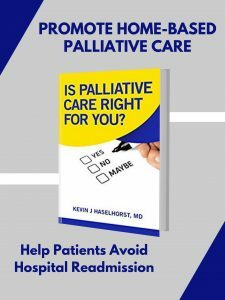 When palliative care (quality of life) is given in conjunction with end-of-care (quality of death), one compromises the other and the patient suffers. Lee was a victim of “both-and” thinking instead of asserting an “either-or” decision. She did not create this confusion but fell prey to the medicolegal system that complicates life-and-death decisions. The bottom line for a patient (one who is prone to suffering) is to keep it super-simple when making a life-and-death decision.